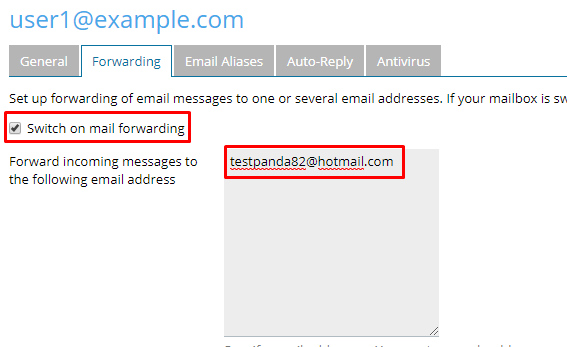 How do I set up email forwarding in Plesk? Once logged in, click on the Email address icon. On the Mail page, click on the email address for which you want to create an email forwarder. On the next page, click on Forwarding tab. Enable the “Switch on mail forwarding” box and in “Forward incoming messages to the following email address” specify the email address to which you want the emails to be forwarded. Click on OK button and you are done. You should see the success message on the next screen.